Controlled Repair Instruments is a valve and instrument service, repair and distribution centre, which focuses on the oil and gas production and power generation industries. Controlled Repair Instruments offers various equipment repair and maintenance services, in addition to small to medium-sized project or ad-hoc equipment purchasing. The company has a team of engineers, who are all trained and insured for onsite and offshore services. It operates with a client-driven process, so that all jobs are dealt with at the same high level of quality and service, regardless of its size. Controlled Repair Instruments has been offering these services for more than 30 years and have built up a reputation within the industry for excellent quality of work, value for money and the highest level of service. While it can service / repair / overhaul most valves, instruments or associated equipment, the company focuses on control, automated and large bore-mechanical valves. It is particularly popular for repairing / re-certifying safety / relief valves, gauges and control instruments (level, pressure and temperature). Controlled Repair Instruments is an official reseller of globally recognised brands that specialise in the manufacture of control valves and related equipment. These components are applied in the oil and gas production and processing industries, but also include pharmaceuticals and manufacturing sectors. 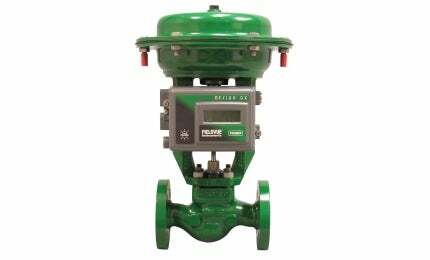 Fisher Controls (Emerson Group), Valtek (Flowserve Corporation), Italian OEM Zavero and German company AHock. Controlled Repair Instruments has been operating locally for more than 30 years and has built up a large base of clients, the majority of whom are in the UK. Most of its work is found through referrals and new clients always become repeat customers. Controlled Repair Instruments is an efficient and focused company with personnel that are dedicated to meeting high levels of quality and customer demands. As well as being FPAL-registered and UVDB-verified, the company is accredited with ISO 9001 and ISO 14001 standards. Controlled Repair Instruments' full workshop facilities are available for a wide range of industrial applications. Controlled Repair Instruments (CRI) is an engineering company dealing with the service, repair and supply of valves, automation, controls and instruments.